Hello! It is peak of summer now and the weather is becoming hotter here in Chennai. Though I prefer summers over winters and rainy days, summers are such a pain as they make me sweat like hell and I hate that. Even my face sweats, and it makes things worse as I have combination oily skin. So it becomes a very difficult task to moisturize my face with a cream or lotion with the right consistency, which should be not very heavy and at the same time moisturize my skin. Well I did find such a cream or rather an emulsion! 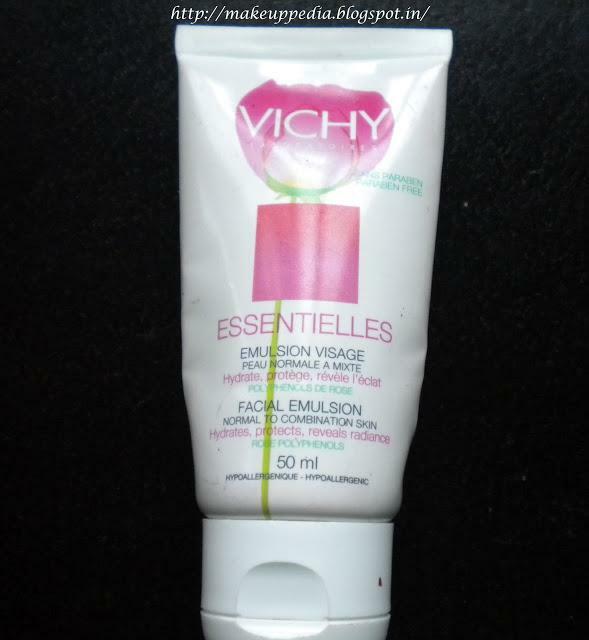 Yeah it is the famous Vichy emulsion for normal to combination skin. 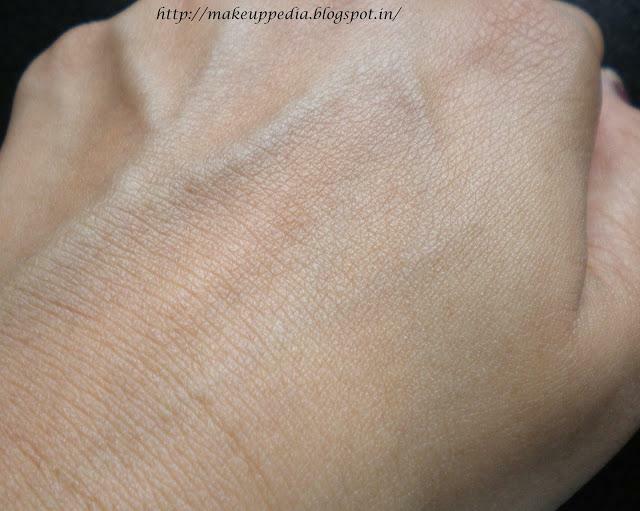 Read on to find out how it fared on my skin. Vichy says: Hydrates, protects and reveals a healthy rosy glow. Rose is known for its soothing properties. It contains Polyphenolsthat, in nature protect flowers against external aggressions. Additionally it also contains soothing Allantoin, nourishing Shea butter and hydrating Glycerin.HYPOALLERGENIC - PARABEN FREE - TESTED ON SENSITIVE SKIN - WITH VICHY THERMAL SPA WATER. 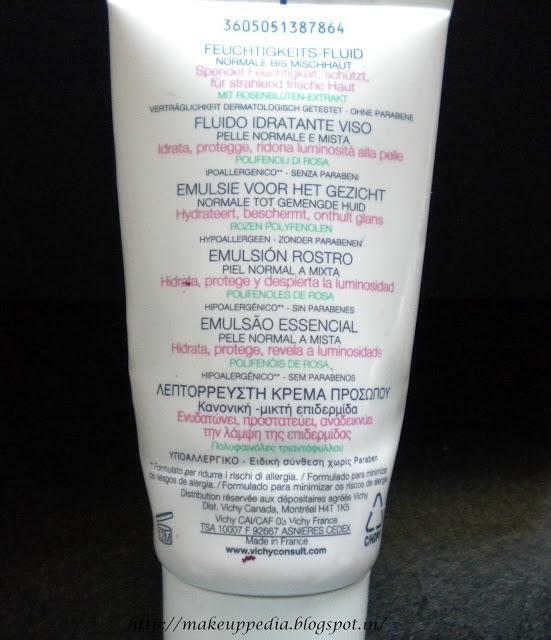 Ingredients: Aqua, glycerin, alcohol denat, hydrogenated polyisobutene, undecane, ammonium polyacryldimethyltauramide, tridecane, myristyl myristate, stearic acid, potassium cetyl phosphate, allantoin, rosa gallica extract, glyceryl stearate se, sodium benzoate, aluminum starch octenylsuccinate, phenoxuethanol, tocopheryl acetate, copper pca, citric acid, xanthan gum, perfume. My experience with it: I had been using lotus white glow microemulsion for a long time, and wanted a change. So did a bit of research on the internet and zeroed in on this one. Since I was comfortable with emulsion, I got this one without any second thought. 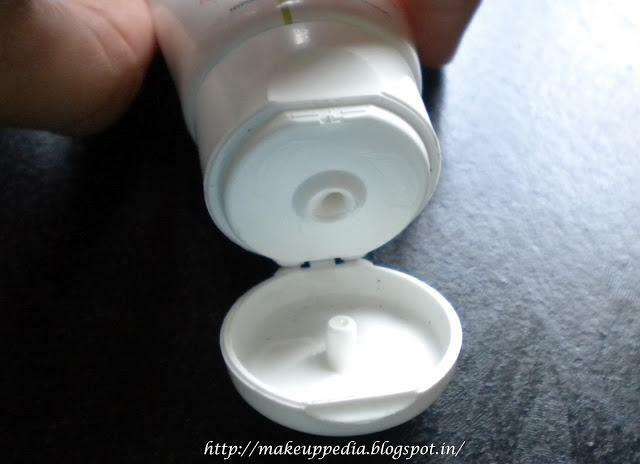 It comes in a tube packaging with a flip open cap. It is extremely travel friendly. The emulsion is white in color and is very light. A pea size quantity is sufficient to cover my face. This 50 ml tube lasted for a little more than two months with regular usage twice daily. Only a slight massage with the emulsion on my skin is required and it gets absorbed within a jiffy. Very apt for summers. It did not make my skin oily nor did it break me out. It moisturizedand kept my face hydrated. And it does not contain parabens. Overall it is a good product to be used during summers. Now for the plus and minus. The good:1 . 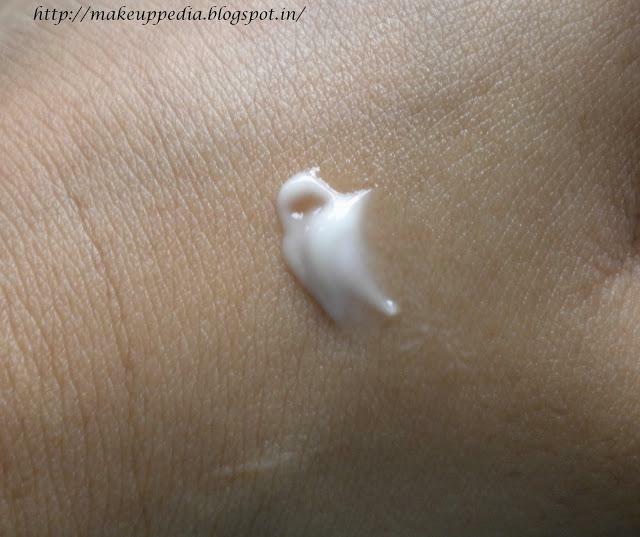 Very light cream best suited for oily and combination oily skins.2 . Gets absorbed easily.3 . Moisturized my skin well.4 . No parabens.5 . Suitable for sensitive skin.6 . Does not break me out.7 . A little quantity is required to cover my face, so it will last for at least 2 months. The not so good: 1 . The price is on the higher side. Final word: I rate this one 5/5. Considering that it lasts for 2 months and it is harmless and makes the skin soft and supple, I feel that it is ok to spend on this one. Products That Are Helping Me Get Through This Winter.